This entry was posted in Keys and tagged KeySmart, KeySmart Key Organizer, Local Locksmith on December 21, 2016 by Locksmith Sarasota. This is one of those rare occasions where you’ll thank yourself for waiting until the week before Christmas to finish your holiday gift shopping. If you haven’t heard of the KeySmart key organizer, now is your chance to learn about this innovative product. The KeySmart key organizer is our pick for a great holiday gift this year here at Locksmith Sarasota. It’s incredibly convenient, stylish, and functional – the ideal gift for virtually anyone. Plus, it’s a steal for around $20! Here’s what you need to know about this exciting device. Loud jangling, mixed up keys, holes in your pants – the KeySmart key organizer solves all of these problems and more. Most people carry around large, bulky key rings in their pockets or purses, taking up room and making unnecessary noise. The key organizer is a slim, stylish device that eliminates metal key rings for good. Instead, your keys attach directly to the organizer, folding in and out as you need each key. No key ring means no jangling, no wasted space, and no fumbling to unlock your doors. It also prevents your keys from poking and stabbing you while in your pockets. The KeySmart key organizer is a simple yet ingenious device that turns your key ring into a clean, concise single device. Fold all your keys inside and it’s a small, slim, and compact device about the size of your finger. When you need to use a key, slide it out of the device, and you’re ready to go. The key organizer hides the jagged teeth of your keys, exposing the smooth side, instead. On top of organizing your keys and eliminating irritating key rings, the key organizer keeps the key straight and steady while you unlock your doors. It’s truly a one-size-fits-all universal gift that your loved ones will actually want and use. The KeySmart device frees up pocket space and organizes all your keys into one clean, neat place. The basic key organizer holds two to eight keys – all fitting nicely into the small, compact device. Upgrade to 14, 22, 28, or 34 keys for an extra charge. The KeySmart organizer has an optional expansion pack as an additional purchase. 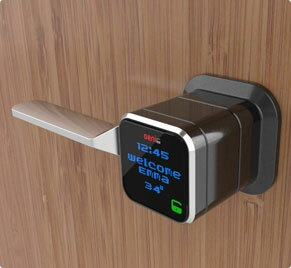 With the expansion pack, the device can hold up to 100 keys. You can also opt for a custom expansion post to fit as many keys as you need. There’s no need to get your keys cut specially to fit into the organizer – it accommodates all typical keys. It even has a small loop piece where you can attach car keys, key chains, or key fobs. The loop piece takes up one space on the KeySmart device. The KeySmart frame is made with ultra-light, aircraft-grade aluminum and strong stainless steel hardware. A sleek laser-engraved company logo completes the look. It’s available in metallic red, orange, blue, green, pink, purple, black, or slate gray. Purchase exciting add-ons to make your gift even more memorable. The key organizer can come with a USB drive that can hold eight, 16, 32, or 64 GB of storage. You can also add a bottle opener, pocket clip, and quick disconnect component. Make your gift unique and tailored to your loved one’s needs! Many reviewers speak of the key organizer’s ability to increase their personal safety. With the KeySmart device, there is no loud jangle of keys to give away one’s location or presence in a secluded parking garage or dark alley. The key organizer enables people to get into their vehicles or homes faster, quieter, and with less hassle. 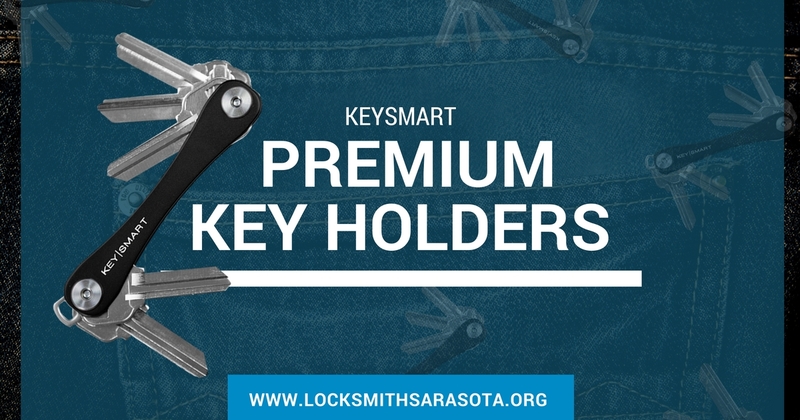 The KeySmart key organizer is Locksmith Sarasota’s top choice for a holiday gift. It’s ideal as a stocking stuffer, gift for dad, or anyone who uses keys. The key organizer eliminates several issues the traditional key ring setup presents, including pain from keys in pockets, loud jangling, and wasted space. The KeySmart key organizer is truly a gift that keeps on giving, available in many different colors.